None of us want our dogs to suffer, but medications can also be worrisome. Pain medications almost always come with overdose risks, and the potential for side effects. In fact, medications in general can often fill us with concern when we read the small print. Today, we’ll take a look at gabapentin. One of many medications routinely prescribed to our dogs by the vet. Gabapentin is prescribed for epilepsy in dogs. We’ll look at the gabapentin dosage for dogs as well. Let’s see if we can reassure you about your vet’s decision to prescribe gabapentin for dogs. What Is Gabapentin for Dogs? Gabapentin is primarily an anti-epileptic drug, meaning it helps lessen the seizures caused by epilepsy. Typically, it’s used alongside other medications as part of a robust treatment. This isn’t its only application, though. It’s also been found to be useful in the treatment of dogs with long-term chronic pain, usually when associated with a disease of the nervous system. And sometimes it’s used to reduce the amount of painkillers needed after surgery. Gabapentin is commonly prescribed by vets for all of these reasons, although dog epilepsy is still the main one. Some people have even suggested using gabapentin for dogs with anxiety. In the US, the FDA has not approved gabapentin for use in animals. This isn’t cause for concern, though, as this is the case for many veterinary medicines. Use of gabapentin by vets is covered under the AMDUCA, an act allowing vets to use human drugs on animals where appropriate. There’s still an active discussion about exactly how gabapentin works. It is clear, though, that it blocks communication between certain nerves. This seems to have a beneficial effect when used to treat seizures, dog epilepsy and some kinds of pain. In dogs, gabapentin has been shown to significantly reduce the severity and length of seizures, which benefits unwell dogs enormously. At this point, gabapentin for dogs is widely prescribed for a range of issues. If your pup suffers from dog epilepsy, it’s very likely you’ll come into contact with this drug. So what’s the standard gabapentin dosage for dogs? Does it differ from dog to dog, and based on what it’s being used to treat? Ultimately, how much gabapentin your dog receives will be up to your vet. What the exact dosage should be depends a lot on what the vet is treating. Your dog’s size is also an important consideration. We can look at the guidelines vets use for a rough idea of how much gabapentin we will be giving our dogs. It’s really important to only take a vet’s advice on this, though. They could be aware of extenuating circumstances that would restrict your dog’s ideal dosage. One study reduced the symptoms of epilepsy in dogs significantly by administering 10mg (per kg of the dog’s weight) of gabapentin every eight hours. Under this protocol a 10kg dog with epilepsy would be given 100mg of gabapentin. A much larger pooch might be prescribed 300mg of gabapentin. This regular dosage helps keep a steady level of gabapentin in the dog’s blood stream. Gabapentin for dogs is given every day, not just when seizures happen. Gabapentin takes 1 to 3 hours to reach its full strength in dogs, so needs to be consistently re-dosed. If your dog doesn’t have epilepsy but is in pain due to another condition like cancer, the gabapentin dosage will change accordingly. When it comes to post-operative pain, gabapentin seems to block some of the pain signals that the nervous system is creating. 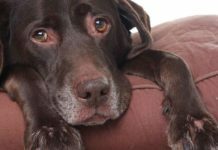 Gabapentin analgesia in dogs is widely documented, and it’s often considered by vets as a way to lower morphine intake. One study found a single dose of 10mg/kg of gabapentin for a dog’s pain reliably reduced the amount of morphine needed after an operation. Similarly, with chronic pain, studies have found a single daily dose to be very effective. This type of pain is often associated with cancer and other really nasty diseases. So, the dosage can differ hugely from dog to dog, depending on their medical situation. Don’t worry if your dog’s dose doesn’t appear to match any of the examples we’ve given. Vets use guidelines, but they treat each dog on a case-by-case basis. 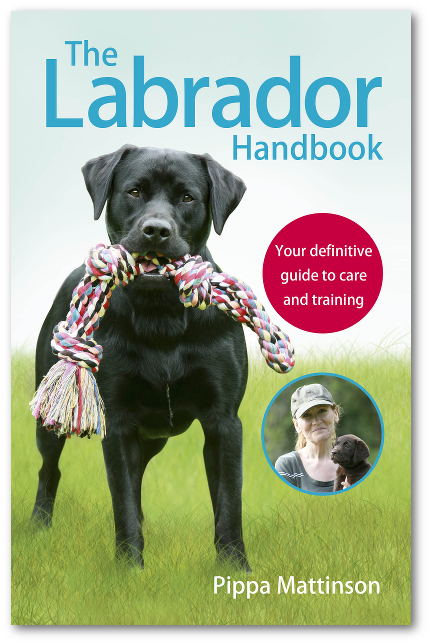 Guidelines are useful, but only your vet will know how much gabapentin your dog needs. So, how long does gabapentin stay in a dog’s system? Does it linger on or disappear quickly? How Long Does Gabapentin Stay in a Dog’s System? The length of time a drug stays in an animal’s system is usually discussed in terms of its half-life. The half-life is the time it takes for the levels of a given drug in the blood to drop by half. In gabapentin for dogs, the half-life is the same as in humans and rats — a period of 2 to 3 hours. This means gabapentin doesn’t hang around very long, but still long enough that regular dosing helps it have a cumulative effect. You may be wondering how long can a dog take gabapentin, since epilepsy can be a life-long condition. With epilepsy in dogs, gabapentin is taken as long as the pup needs it, which can be months or even years. There are some risks in long-term use of gabapentin in dogs, such as an increased risk of cancer. But a dog suffering from regular heavy seizures needs this relief, so the trade-off is usually worth it. In the short term, when correctly prescribed, gabapentin doesn’t seem to cause any real issues. Except for a bit of dizziness, most dogs do absolutely fine on this medication. 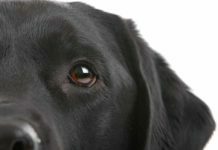 So how will gabapentin affect your dog? Lets take a look at gabapentin’s side effects in dogs. Few medications are without side effects, but their severity can differ a lot from drug to drug. Side effects can also differ according to the individual dog, its general constitution and its medical history. 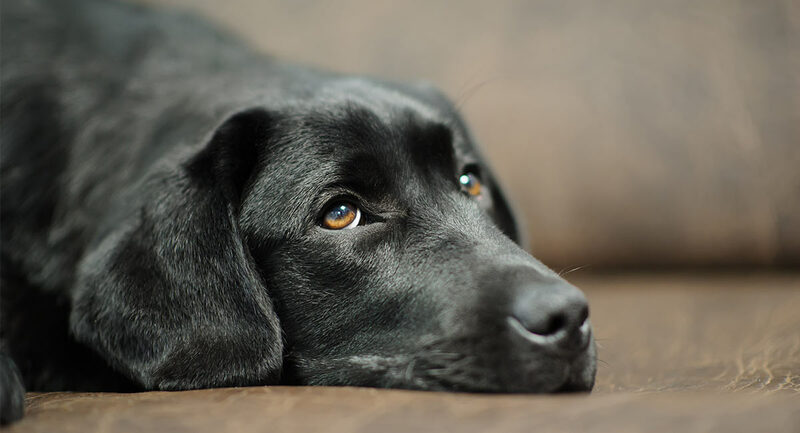 The most common side effects for dogs taking gabapentin involve a loss of coordination. Gabapentin use in dogs can cause them to appear unsteady on their feet. They may also experience drowsiness. Even if the effects seem mild, it’s worth checking in with your vet. They’ll be able to determine if the symptoms are harmless, or if different medication should be considered. Even if side effects are severe, it’s very important that you don’t suddenly stop giving your dog their gabapentin. If you stop your dog’s gabapentin abruptly, they can experience some pretty nasty withdrawal symptoms, including heavy seizures. This can potentially harm your dog long-term. So, how much gabapentin can my dog take? Overdoses actually seem to be fairly rare when it comes to gabapentin for dogs. There’s a high margin of safety, and though a dog that’s had a little too much might be dizzy and sick, overdoses are very rarely fatal. With this being said, if you realize your dog has had too much gabapentin, get in touch with a vet right away. The exact amount that constitutes an overdose differs from dog to dog. 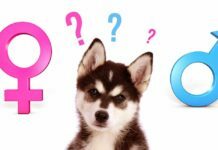 Can I Give My Dog Human Gabapentin? 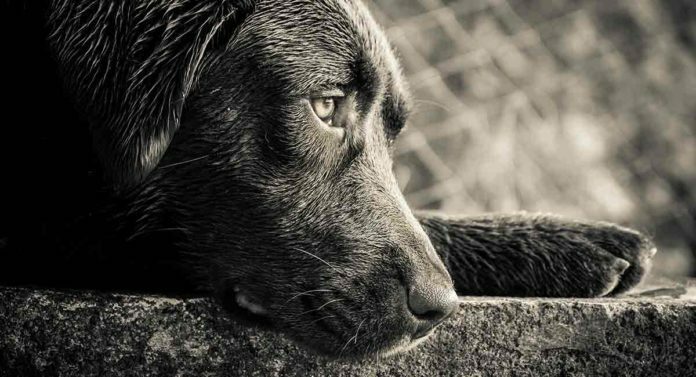 Most of us would be inherently wary of giving our dogs our own human medication. But if you have your own gabapentin and your dog could benefit from it, you might wonder what the harm could be. The truth is it could be very dangerous. The gabapentin itself will have been prescribed at a dosage suitable for you. If you try to calculate your dog’s dosage based on your own you could get it wrong. This could harm them. Even if you get the dosage right, you could still harm your dog with your own gabapentin. This is because gabapentin prescribed for humans sometimes contains xylitol. Xylitol is an artificial sweetener that is harmless to humans, and actually has dental health benefits. This sweetener is found in chewing gum, sugar-free candy and occasionally even peanut butter. The problem is that xylitol is toxic for dogs. While safe for you, xylitol can cause your dog’s pancreas to release excessive amounts of insulin. This extra insulin can cause severe hypoglycemia, or low blood sugar, for up to 24 hours. While the blood sugar is low the dog may have vomiting, diarrhea, tremors and seizures. In the worst case scenario the dog’s liver is destroyed. Once that happens, the dog often dies. Be sure to keep gabapentin and anything else that might contain xylitol out of your dog’s reach. If you suspect your dog has ingested xylitol, you should get them to a vet as soon as possible. Gabapentin for dogs is fine when given as prescribed by a vet, and at the recommended dosage. Giving human gabapentin, or another dog’s left over gabapentin, is too risky, considering what’s at stake. We should be especially wary of giving dogs our own gabapentin, even if they’ve been prescribed the same drug. Humans and dogs can reap the same benefits from a number of different medications and foods, but some that work for one of us won’t work for the other. For example, a dog wouldn’t think twice about eating a raw chicken breast, but this would probably make you quite sick. Although gabapentin functions pretty much the same in humans and dogs, we still shouldn’t give medication prescribed for one to the other. This is always a good rule of thumb. If your dog has been prescribed gabapentin, it’s because they need it. Epilepsy and pain are not things any of us want our dogs to go through, and this drug can definitely help with both. So don’t worry about giving your dog gabapentin if a vet has said to. Its side effects are infinitely preferable to frequent debilitating seizures and chronic neuropathic pain. Have you used gabapentin for any of your dogs? If so let us know about your experiences in the comments below. 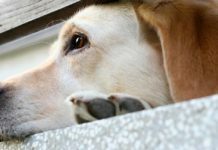 Previous articleMelatonin For Dogs – Can You Give Dogs Melatonin for Anxiety or Stress? I have a prescription from my vet for gabapentin for my German Shepard, how do I go about ordering this online. I have a prescription from my vet for gabapentin for my German shepherd. How do I order this online. I was provided Gabapentin when I took my Charlie ( 11 years old) to the emergency room. She was diagnosed with pneumonia but in a matter of a few days she was up and walking. During the emergency room visit the Doctor took several x-rays and it was found that she has arthritis throughout her spine. He prescribed Gabapentin, a medication I immediately recognized as my mother is allergic to it. I usually do not like to pump myself as well as my fur baby with meds however her moaning got worst, as she began to moan all night in her sleep and whenever she laid down. I began to give her the meds differently than the prescribed instruction which were one to two as needed. I only give her one in the morning and one in the night and this has worked. No more moaning and she is walking faster, the only side effect is some diarrhea. But I always, and I cant stress this enough, I always make sure she eats before giving her the medication, even if it does not say give with food. I do this because anytime I take pills, even vitamins on an empty stomach, I get ill so I want to make sure that does not happen to charlie. Otherwise the medication has worked fine. Does anyone have insight on how Gabapentin affects the kidneys? I can’t find anything specific. My dog has chronic kidney disease so he can’t use NSAIDs and was prescribed Gabapentin for back pain/arthritis. I know it is exclusively metabolized by the kidneys so dosage needs to be lowered to account for slower clearing, but does the drug do any damage to the kidney itself like NSAIDs? Just wondering what the downside is. My dog is using gabapentin 3 times a day now at 100 mg each dose. I started giving it to him a bed time as he couldn’t get comfortable any longer. He is a 14 year old cocker/spring cross with arthritis in now 3 of his major joints. His legs shake most of the time. He was prescribed metacam but he can not tolerate it as it causes too many digestive issues. I know he’s near the end and when he starts to whimper regularly again we will say goodbye but till then the gabapentin is working. I am sorry about your Little Old Man. I hope the medicine is still helping his frail body and allowing you more time with him before Goodbyes need to come. And if your goodbyes & last hugs have come to pass, hold tight to those wonderful memories that will always make you smile. If only our precious critters could live forever. That would allow life to be truly something so much more sweeter than it already is?? Many folks posting should read the article again, and many others available online, about Gabapentin before commenting because some of you obviously aren’t paying attention. The xylitol is found only in the liquid form for humans. That being said, you should also talk to a number of vets, not just one. This drug effects each dog very differently; not sure if it has to do with breed, size or gender. Do NOT stop giving this to your pet cold turkey. The results can be worse than all of the side effects combined. I’ve had two dogs on this medication and each of them reacted in totally different ways. I also think that there are side effects not mentioned. My vet seems to think this stuff is pretty harmless, but that is NOT the case. 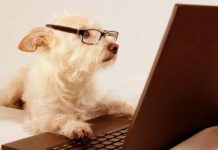 After reading comments on other sites, I’ve found it can be deadly to some dogs. It is best to start with a smaller dose than prescribed and work up to the full dose. And if you don’t want your pet taking it any more, reverse this process, gradually lowering the dosage. Though some of you have mentioned it helps with the pacing caused by dementia, I found that with one of my dogs it just amplified this problem. Look everywhere you can for information, check the side effects for use in both humans and animals, and be very attentive to behavioral changes. You know your pet better than anyone – otherwise you don’t need to have a pet – and if you notice a problem, don’t let your vet just brush it off or attribute it to something else. Seek out second and third opinions if you aren’t satisfied. And don’t let something go more than a week without mentioning it to your vet. My 16-year-old cocker spaniel died after taking this medication within 3 hours! He was 21 pounds and was prescribed 100 mg. I am devastated!!! My dog has a torn ligament and was put on this drug, 200 mg twice a day pending surgery. She is sleeping a lot, but I want to keep her quiet. My 50 lb 13 yr old mixed breed dog has been on 200 mg of Gabapentin Capsules twice a day for about three years. She use to get Novox too but that was changed to the new dog arthritis pain med., Galliprant, almost a year ago. The combo has helped significantly with her hip dysplasia and arthritis pain. The Gabapentin is gotten from a human pharmacy with the script from the Vet. The capsule version does not contain xylitol. That is in the human liquid form. 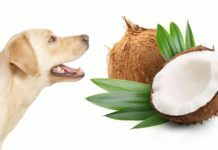 The caps do contain a little mannitol but it is not toxic to dogs. Check with your pharmacy for ingredients. I had changed to human form to save some money as I am retired and the Vet charged triple the cost. I give her the capsules inside Greenies Pill Pockets for dogs. Although the meds help her pain, there is nothing to stop her joints from deteriorating. She limps more now on her front leg and her hind end is growing weaker. I know I will need to make that decision soon, but for now she is still comfortable and alert. My mixed breed 50 lb dog has been getting 200 mg x 2 daily of gabapentin for approx three years. Until last year she was getting novox too but we switched to new drug, Galliprant, which is specifically for dogs with arthritis and hip dysplasia pain. This combination has helped her pain greatly. The gabapentin she has been taken is capsule form and I get her prescription from the Vet faxed to a human pharmacy. The capsules do not contain xylitol, that is in the human liquid form only. The caps contain a little mannitol which is not toxic to dogs. I had switched to human version capsules to save some money as I am retired and the Vet’s was triple the cost. Although the meds help with her pain, nothing will slow down the deterioration of her joints. She is 13 yrs old and is limping more on an elbow and her hind end is growing weaker. I know I will need to make that decision fairly soon, but for now she is still comfortable and alert. We’re on a big dose, 400mg three times a day, 41kg blacl lab. The difference is noticeable in two days. She’s got chronic arthritis in her elbow and has been finding it increasingly painful to walk. Shes gone from being a 10 year old that had started refusing to go outside even and was sometimes peeing on the floor (presumably too painful to get up and walk if it wasn’t desperate), to a dog that’s spent most of the day outside eating windfall pears and playing with her sister. We’re also on Rimadyl max dose and we’ve tried Tramadol but it didn’t seem to do anything. I just knew this wouldn’t work because it’s ten times cheaper than the others, but it’s looking good. My 12yo lab mix was diagnosed with a bladder tumor 5 months ago. She is terminal, but she is still doing well eating, voiding (tho she squats often per pee) and poo-ing. She was in some pain and the vet prescribed 300mg gabapentin 2 times a day along with an an anti-inflammatory. It has done wonders for her, and I’m glad this is helping to maintain a decent quality of life for her until that dreadful day comes. I am thankful this has been available for her and I would recommend it to anyone. My vet just prescribed this and Trazadone for my 2yr old Dane, my dog has serious issues with anixity and fear. My vet is kind enough to make a house call to give Koda her vaccine, but wants to try these meds on her before she comes. My question is why the Gabaentin? There wasn’t much about it in this in relation to my dogs issues, it was all about pain and seziures???? Hi. My 14 lb. Maltese was given Gabapentin 100mg. 2x a day. This seems so high. I have only given him one, yesterday and held back the second dose. It was prescribed for arthritic pain in his spine. Any thoughts about this? It works to take away pain. My Dachshund has been given Gabapentin for chronic neck injury. It has truly made a difference. And it is safe. My baby was hurting so bad, and it was because I needed to up his dose. I am giving him conservative care for his neck injury. When I told his VETERINARIAN he told me to up the dose to 1 ml. 3 x daily. My dog weighs 17 lbs. This liquid Gabapentin has made such a difference. His pain pill Tramadol 25 mg. Twice daily wasn’t enough to control his pain. So..if your veterinarian said to give it do not be afraid. Just follow directions. If your dog is in pain they will appreciate the help! You may have just saved my dog’s life! She is a 82 pound plotthound and was bit on the nose by a rattlesnake. Among other things, the vet prescribed 300 mg of gabapentin twice a day. I gave it to her the first day. I knew I had some gabapentin and it was the same dosage. I was thinking I could give her mine if needed. But thankfully mine had expired. I know the dangers of xylitol having just written an article about it, but didn’t know it could be in my medication. I know a lot of human medications are used for dogs, but I’ll never do it. I will be mentioning the dangers of using human medications in the next article on her website at https://trixietellsall.com. Now I wonder about the human benadryl they say to give. She had two of them after the bite. Maybe it has been checked that it doesn’t have xylitol. I wonder why it is added in gabapentin that is a capsule and can’t be tasted? My 75 lb lab was just put on 10g 3 times a day. He was having back leg pain then suddenly today couldn’t stand up. Vet prescribed this and said let’s see how it goes. He’s almost 16 years old and otherwise eats and walks stiffly but he walks slow. Hoping for a positive result. Vet said should work quick. So guess we will see what quick is if it works. How do you get your dog to take the pills- he finds them in his food, my son refuses to hold him and force him. Taters can smell the heart pills and just won’t eat. He has stage 3 kidney disease:( He just got prescribed Gabepentin for dogs also takes Sidinifil for blood pressure . He is a rescue and 11 years old. Hi we put our labradors tablets in a bit of smoked salmon flavoured Philadelphia cream cheese I wish we had discovered it years ago ! I take a piece of sliced cheese and roll the pill inside the cheese and he gobbles it down……No problem with him taking his meds. I am assuming you solved this problem since it has been a while, but it comes in liquid form too. We roll our labs pills in Buddig lunch meat like it’s a buritto. Works like a charm. My vet just prescribed Gabapentin for my 10 year old lab for nerve pain. He is taking 300 mg twice per day. He seems to be sleeping a lot more, but it doesn’t seem to be helping with his mobility. He still whimpers, growls, and bites me if I try to help him stand up. I will contact the vet and see if we need to increase the dose; I just don’t want him to be sleeping ALL the time. My German shepherd recently prescribed one and a half doses twice daily.Following her first couple of days on this drug, she would go off and sleep for hours.When I contacted my vet about this, the dose was reduced to one dose twice daily, as gabapentin side effects include drowsiness and lethargy.I cannot tell you if the reduced dose will help, as she has only just gone on the revised dosage.I hope this is some help to you. Thank you….My 9 year old German Shepherd was just prescribed 300mg 3x per day for chronic hind leg pain, it’s been two days haven’t seen a big difference. I’m thinking I may just do 2x a day. I’m worried she’ll start to sleep to much also. I also have her on glucosamine and turmeric for 4months and that’s been great for her, I see a great difference! My vet just prescribed Gabapentin 50mg. for my Pooshin, she had a problem with mobility. She responded to the 1st. dose by having improved mobility. Hopefully this will continue and she will continue to function without distress. She does to be sleeping a lot more than usual, but I am hopeful this too will improve as her pain subsides. She is a lot more comfortable and at 14yrs. old I guess she just needs rest. 30 mg. Of Gabapentin 3 x daily, later reduced to 2 x daily. He is on a few other meds as well but he is back to his old self thank goodness and will probably remain on it indefinitely. Has caused my dogs bladder to bleed and didnt do much for pain. Did your vet tell you that? Its very unlikely that gabapentin is the cause of a bladder bleed. 1. Did your dog have any previous kidney or bladder problems? 2. What is your dogs weight and what mg was perscribed? I was recently prescribed Gabapentin for my 12 year old Lab. One time daily, at night. 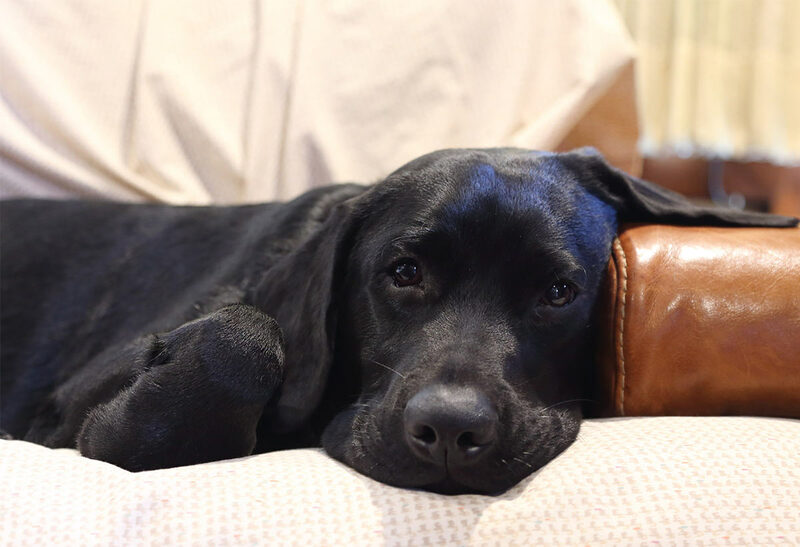 He was becoming restless at night – constant pacing, barking, extreme clingy-ness, whining and whimpering… all signs of cognitive dysfunction – doggy dementia. My vet suggested giving Gabapentin along with Metacam. So far, it has been working. My dog sleeps through the night. It’s crazy how quickly it can work. I fed my dog the drug, and ten minutes later, he is sleeping. Gabapentin transformed my dog! He was put on Tramadol after an injury to his spine/hip, but it didn’t suit him at all – he spent the night prowling around and couldn’t settle. With Gabapentin he was back to his old self almost at once, although I took care not to over-exercise him, and he stayed on that for the rest of his life. Diana Baker what strength of Gabapentin was your dog on, and how often did you give it…?? My 10 year old, 55 pound otherwise healthy lab was prescribed 100mg gabapentin 3 X’s a day along with Prednisone 2x day for a new onset cervical disc issue. The Prednisone seems fine but when I gave her one dose of gabapentin she got agitated and couldn’t get comfortable. This lasted a few hours. I’ve been reluctant to give her another dose. Anybody have similar experience with gabapentin and any advice. The gabapentin is in capsule form so can’t decrease the dose unless I open the cap.